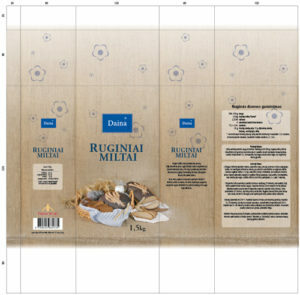 Tartu Veski (now renamed as Tartu Mill) introduced a new rye flour product and needed a pack graphic design solution. 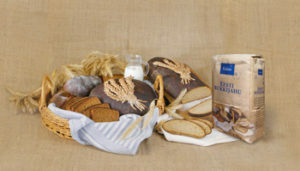 In keeping with the style with other products in the Kalew range, a still life composition was created on a large background of hessian sackcloth. The background of fabric needed to be very large so as to cover the whole paper bag surface and make it appear like a sackcloth bag of flour. 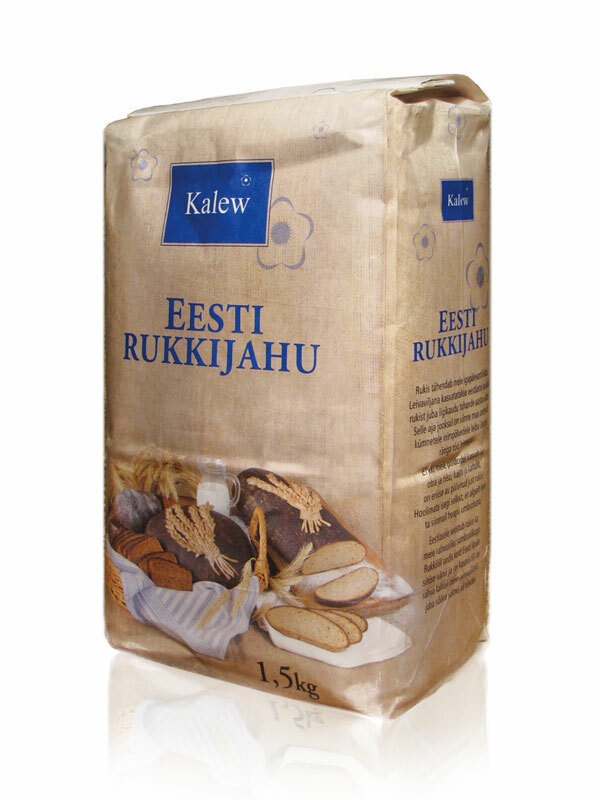 This brown sackcloth fitted well with the rustic, traditional nature of the product and also with the colour and texture of the rye flour itself. Some blue elements were included in the still life to match the colour of the Kalew brandmark.